- Update Visual Composer plugin newest version. - Update Revolution plugin newest version. - Add choose category for shortcode portfolio. - Add link for service. - New : Add font icon for shortcode pricing table. (Font awesome,line-basic). - PrettyPhoto updated to 3.1.6 - latest stable and secure version. - Improvement: Visual Composer 4.11.2.1 compatible. - Merged ThemeStudio Post Types, Metaboxes & ThemeStudio Shortcodes as Ariva Core. - Checked responsive on different browsers, devices. 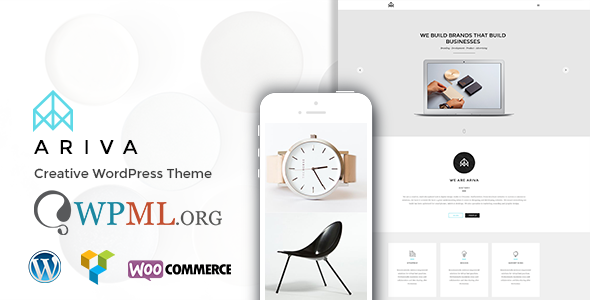 - Checked theme options and shortcodes. - Fixed service icon link not working.